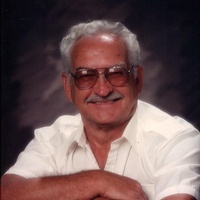 James A Siroshton, 91, Athol, died Tuesday, October 23rd. A graveside service will be held at the Coeur d’Alene Memorial Gardens at 1 pm October 30th. He was born March 11, 1927, to Joseph and Nora Siroshton in Williston ND, and later moved to Dalton Gardens where he attended school. He retired from Kaiser Aluminum. He was a member of the VFW and Coeur d’Alene and Hayden Eagles. In his younger years he always had a garden to be proud of. He also enjoyed hunting & fishing. Survivors include children David (Jackie), Cheryl (Dan Ripley), and Gary Siroshton. And grandsons Sean Siroshton, Anthony Clarke, granddaughters Bridgett Siroshton, Kaitlyn (Tyler) Burkley, and numerous great grandchildren, nieces, and nephews. He was preceded in death by his brothers George, Dan, Henry, and Ed, and sisters Pam & Lee. His wife MaryLou died in 1992. Wife Phyllis died in 2010.